Senior journalist Vinod Verma was arrested on extortion charges on 27 October by the Chhattisgarh Police from Ghaziabad's Indirapuram, after an FIR was filed by a person named Prakash Bajaj, who accused him of blackmailing him over a certain 'vulgar' video that features his boss. Prakash Bajaj has alleged that he had been receiving numerous calls, in which Verma blackmailed and threatened him of leaking an objectionable video of his higher-ups. "On October 26, Prakash Bajaj, in a written statement, said that he was being threatened, on phone, of leaking an objectionable and vulgar video of his higher-ups," the Raipur Police said. The Raipur Police added that, in his complaint, Prakash Bajaj said that the caller blackmailed and asked him for money, following which a case was registered by the Pandri Police Station. The Raipur Police said that the crime branch was sent for an investigation. "They detected the shop where CDs were being copied, where the shopkeeper said that he received a call from an unknown number said that he wanted a video to be converted into a CD," the police said. The Raipur Police revealed that during the questioning, the shopkeeper said that Vinod Verma had ordered 1000 CDs to be copied. The police said that after a further probe, Vinod Verma was arrested from Ghaziabad. "According to the shopkeeper, the man revealed his name as Vinod Verma. The number that shopkeeper gave us, we found out that the address was of Vinod Verma's and from where five hundred CDs, a pen drive, laptop and a diary were recovered," the police added. The police said that the investigation was underway, and hence they can't reveal the details, adding the content of the CD violate Section 67 of IT Act. "Prakash says that he did not take the blackmailing seriously, but yesterday afternoon he received a call where the caller said that 'your CD is getting copied at an unknown place in Delhi, if you still want to talk, come, or else I will forward the CDs and destroy your reputation'," the police added. According to reports, Prakash Bajaj is Bharatiya Janata Party's Chhattisgarh Committee member. The police, however, said, "We will talk to Bajaj and details will be asked from him." The police said that they were presenting the case in the Delhi court. 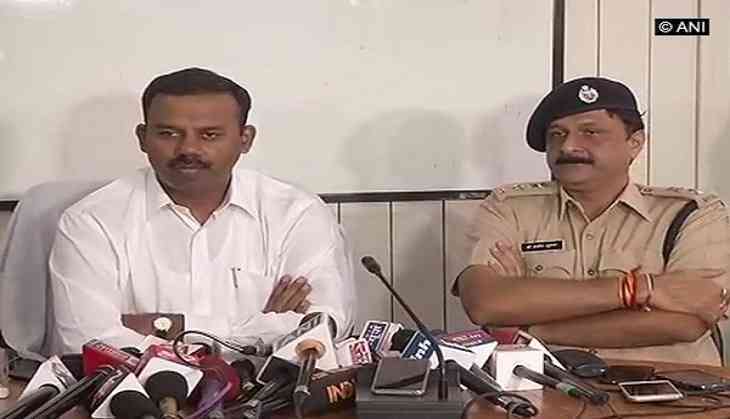 The police also said, "A Raipur Police team was in Delhi for a chain-snatching case and when they received this information, they took an action."